Beijing raised its pollution alert from yellow to orange, the second highest, Friday as pollution levels reached 20 times recommended limits. By 4pm Friday the Air Quality index in Beijing reached 470, with anything over 300 considered severe pollution, while in neighboring Hebei province Dangerous PM2.5 particles climbed above 500 micrograms per cubic meter, forcing the Chinese authorities to issue an “orange” warning. The World Health Organization’s recommended expose is 25. PM2.5 particles lodge deep inside the lungs and are considered the most dangerous kind of air pollution to human health. 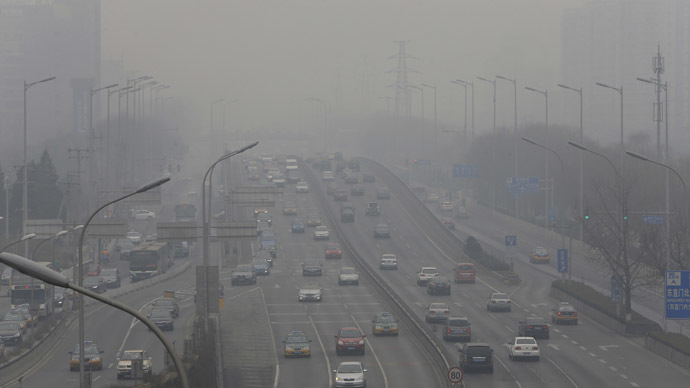 Other nearby cities were also shrouded in smog, including Xingtai, Shijiazhuang, Dingzhou and Yangquan, while 18 highways linking Beijing to other major cities had to be closed. The smog has been blamed on “unfavorable” weather conditions; the still air is preventing air pollutants from being dispersed, and regional pollution, such as farmers burning crop stubble in rural Hebei, being blown into cities, according to Beijing’s Environmental Protection Bureau. The authorities used social media to warn the Beijing population to take necessary precautions, but many people on the streets were paying little heed to the warnings and were not wearing masks. "It's the smog season of the year again. Now I wonder if I can live long enough to see it solved. 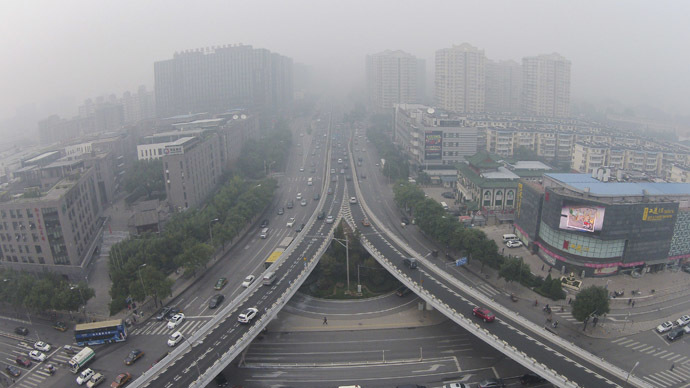 If the government can't solve the problem for the residents, [we] should at least have a day off on smoggy days," Beijing resident Su Zhiyu, 32, told the South China Morning Post. But the authorities are being much more cautious and strict in the run-up to the 10-day APEC summit, which begins in Beijing on Nov. 3. 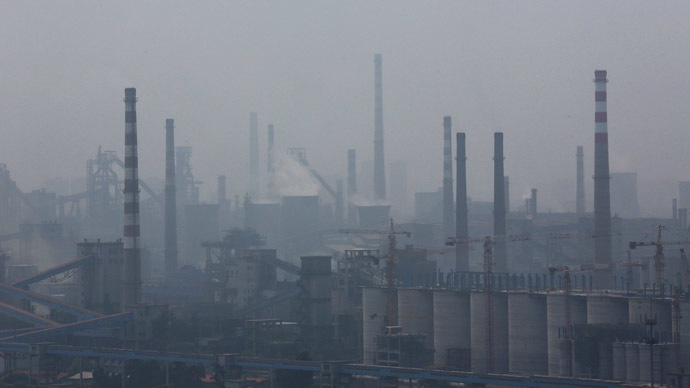 “Beijing will make every effort to prepare for the APEC meeting and we need to control air and water pollution,” said Guo Jinlong, the city’s Chinese Communist Party (CCP) chief. With dignitaries from the US, Russia and other Pacific Rim countries arriving in the city the Chinese are anxious that it shouldn’t be smothered in dirty smog. Using measures similar to those introduced during the Summer Olympics in 2008, Beijing will restrict the use of private vehicles based on if their number plates are odd or even numbers, which will reduce traffic density by 35 percent. Trucks carrying waste and dangerous chemicals will also be barred from the capital’s roads. Throughout the 10-day summit, 400 extra buses will be laid on and between Nov. 7 and Nov. 12 employees in most government departments (except those involved with the APEC meeting), institutes and other social organizations will be given a day off. Despite the Chinese government declaring a “war on pollution,” poor air quality in various cities including Beijing has persisted, as the country continues to focus on economic growth at the expense of the environment. Environmental regulations are still poorly enforced and coal is still widely used in industry and power generation. Despite the stoicism of some of the locals, others are running out of patience. “The Beijing government must do what it can,” otherwise “the mayor’s promises will turn out to be empty words,” an editorial in the state-run China Daily newspaper said. 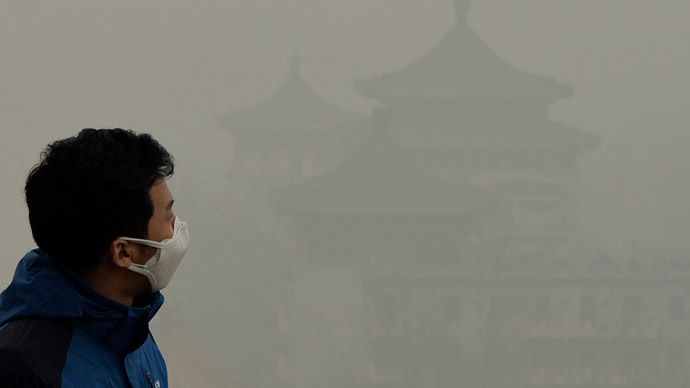 Environmental groups are also increasing the pressure on the authorities in Beijing. Greenpeace Asia projected a huge message reading “Blue Sky now!” on to the front of Drum Tower, a historic building to the north of the historic center of Beijing, the Forbidden City. Greenpeace is also criticizing the authorities for not putting the city on red alert. Beijing has four levels of warning for air pollution. Red is the highest, followed by orange, yellow and blue. The system was introduced last year and a red alert has not yet been issued. Under a red alert, primary and middle schools have to shut to protect children from the smog, and half cities’ cars are forced off the roads. The sheer pace of economic growth in China has resulted in a massive hike in car ownership and the number of cars is one of the main reasons for the air pollution and smog. 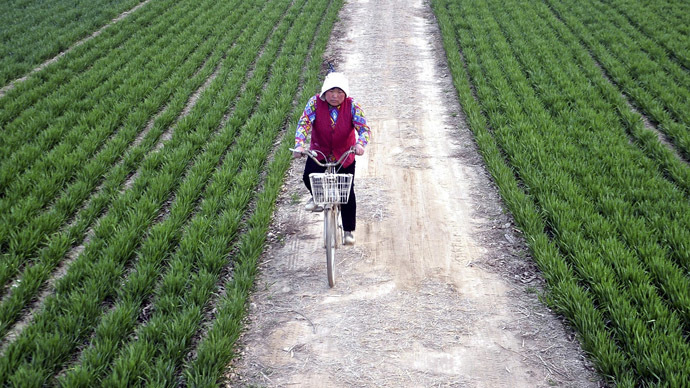 Two decades ago the majority of China’s population was still bicycles dependent, but in 2010 Beijing imposed a lottery system where only those who won could register for a number plate.